Users who want to further explore their genetic ancestry, investigate the ancestry of a particular relative, or narrow down the possible ancestors shared with a DNA Relatives match can take advantage of the advanced features in the Ancestry Composition report. The algorithm we use to calculate your Ancestry Composition analyzes one small piece of your DNA at a time. For each piece of your DNA, we calculate the probability of that piece coming from 45 different populations. Each prediction is also linked to our confidence that the call is correct. By default, Ancestry Composition requires that our confidence in a prediction be greater than 50%. This confidence threshold allows the most DNA to be assigned and provides the most interesting view of your ancestry. If you’d like to explore these assignments at a more advanced level, click on “Change confidence level” and move the slider that appears above your Chromosome Painting. The confidence slider on the Chromosome Painting allows you to explore our estimates of your genetic ancestry at different probability cutoffs. For example, if a segment of your DNA has a 55 percent chance of being Japanese, then that segment will be painted as Japanese at the 50 percent confidence level, but it will be painted with a more broad ancestry (either Broadly Japanese & Korean, Broadly East Asian & Native American, or Unassigned) at the 60 to 90 percent confidence levels. 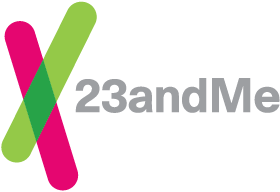 Your Genomic coordinates (NCBI Build 37) for your Ancestry Composition results are available for download in a CSV format. This file, which contains the start and end positions for each assigned ancestry within your genome, is made available so users are can further explore their genetic ancestry by comparing assignment locations with family members or against the segment positions of DNA Relatives matches. A visual representation of the data in this file can be found in the Chromosome Painting section of the Ancestry Composition report. The Chromosome Painting section of your Ancestry Composition report may provide an easier way to generally compare segment locations for many users. The downloaded CSV file will contain your assignments for the selected confidence level. Increasing or decreasing the confidence level may change the ancestries included in your file by changing the probability cutoff of when an ancestry can be assigned. Learn more about confidence levels. There may be differences in the ancestries assigned to a segment of DNA that you share with a DNA Relatives match. This is because Ancestry Composition uses methods to determine which segments of DNA came from each parent (a process called phasing), while DNA Relatives does not phase data. This, in combination with the way Ancestry Composition assigns an ancestry, may result in differences between the ancestry assignments for a shared segment. Learn more about phasing. The CSV format is best viewed using a spreadsheet program, such as Microsoft Excel (see example below).